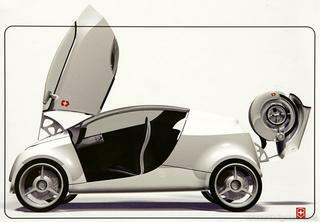 I’ve been considering trading in the Lexus for a Smart car, if Zap! ever gets them authorized for sale in the US. But I love this design winner from the Motor Trend International Design Contest! woww! gorgeous Mark! good find – I’ll buy one too!